During your vacation in Playa del Carmen, skip the ticket line at Chikin Ha Park. 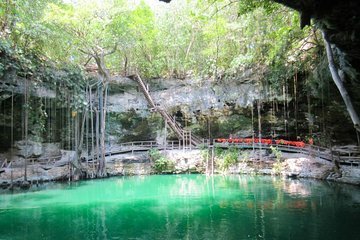 This admission ticket grants you access to three different swimming sinkholes including Cenote Chikin Ha. Activities keep you and your family or friends entertained, including a zipline, rappel, bicycle tour, and Maya ceremony. Snorkel equipment, life jackets, and snacks are provided.